For faculty at the UC San Diego School of Global Policy and Strategy (GPS), summer is a time to catch up on research and prepare for the new academic year. 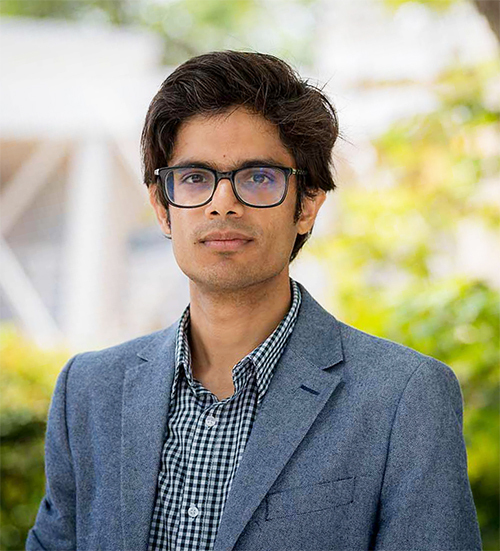 But for Assistant Professor Gaurav Khanna it was a time to commune with people from all over the world, and strengthen his body of work as a leading labor economist. From legal scholars to art historians and sociologists, Khanna shared meals and academic insight with these experts in their fields at the University of Oxford’s Summer Research Institute. Each year, the program welcomes one academic or senior administrator from participating institutions to Oxford’s Harris Manchester College to undertake research or finish writing up a project. We connected with Khanna for details on his time at Oxford, and learned about his newfound love of soccer. Here’s what he had to say. What specific research did you focus on while at the Summer Research Institute? While I was at Oxford, I was working on research related to migration and outsourcing. There are faculty members there working on topics like the “future of work”, studying how automation and technology transfers across countries affect production all over the world. It was great to hear their thoughts and receive feedback on some of my own research, which studies the sharing of technology across migrant networks and how that relates to outsourcing and high skill immigration. More and more of our products are being produced in countries where they are hiring migrants. In my paper “The IT Boom and Other Unintended Consequences of Chasing the American Dream,” I look at the connection between migration and the shift in where production takes place. Essentially, what is happening is a technology transfer, which is having big effects on countries like India where the IT sector is booming. It was great to network with scholars from different disciplines, like immigration law, which I found very exciting. The program is set up like a workshop, and it’s a nice regimented scheduled where you can sit and write and meet people over meals. It’s great not doing any errands or cooking! I would go and write in a different library every day to be inspired by a different type of history and architecture. Discussing research with a new set of faculty is always helpful for a young researcher like me, as I get to know what other folks are working on. While I scheduled a few meetings in advance, it was very easy to meet people organically. The whole research process was very collaborative, from emailing paper drafts to sending comments on our writing. I think it was great for me to talk to faculty from across many different departments at Oxford – the Blavatnik School of Government, the Economics Department and the School of International Development – many of whom are working on issues related to developing countries, and related migration. I was there during the World Cup and England was doing pretty well. I got caught up in the fun and learned all their "football" chants! I’m pretty sure I was a lucky charm for the England football team because as soon as I got on my flight back home, they lost in the semi-finals. Also, for someone who reads fantasy and sci-fi, Oxford is quite a treat. Most of Harry Potter was filmed there, from the dining halls to the staircases. Because we were members of the university during our stay, we could go anywhere. They were also filming the Golden Compass, His Dark Materials from my rooftop! The great thing about the whole institute is that I could have regimented writing time free of running errands. You can break away from all the things you are used to doing. There were always hot meals waiting for me at meal times, and in between I would jump in and out of the library to write, or go meet a faculty member working on similar issues. I am so thankful to have been given this opportunity.